Katalox (pronounced kata-low-sh) is also called Mexican Ebony. While it is a wonderful substitute for ebony, in my opinion it far surpasses any of the ebonies in sheer beauty. 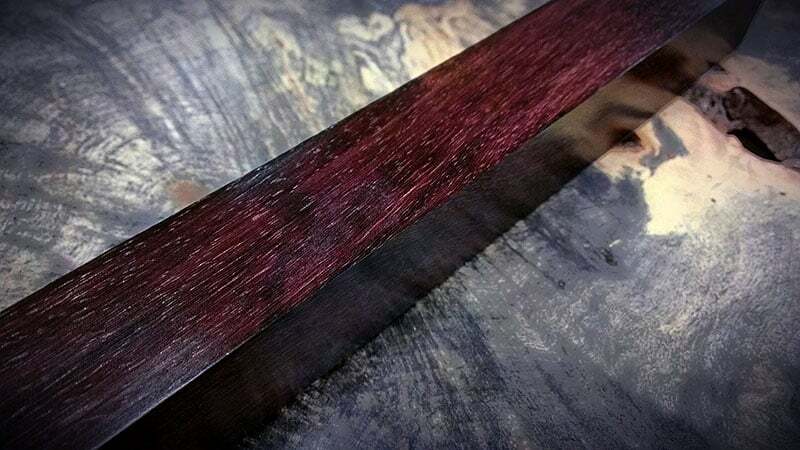 Using Katalox as a mere substitute for ebony is a travesty, since it overlooks the inherent qualities of the wood that put it a step above any ebony. Katalox is the color of blackberries and polishes to full rich shine that enhances the deep burgundy and purple tones of the wood. Katalox is not black, even though it can pass for black, upon closer inspection there is a myriad of deep reds and rich royal violets just below the surface. I would like a polyhedral set of these, how much would that cost? 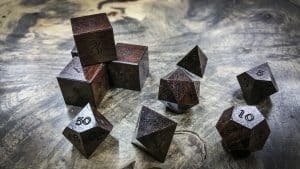 How much would a full set (9 or 10 depending on the number of d6) cost? Can you do a 100 sided die? If so, how much would that cost? Thanks! can you do metal inlays for numbers?